Despite President Donald Trump's declaration that no members of the infamous migrant "caravan" would be allowed into the country, eight women and children crossed into the US territory at an entry point at San Ysidro after being processed by immigration officials. Hundreds more are massing at the border entry point, which was temporarily overwhelmed and was forced to halt processing of new arrivals as it dealt with the overflow. 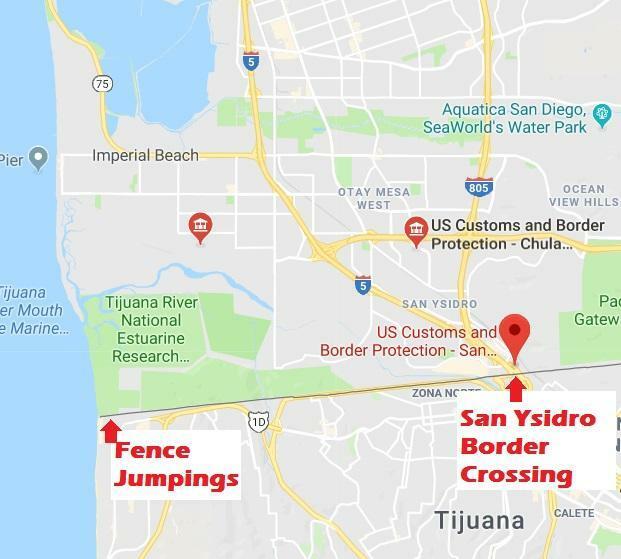 After the San Ysidro crossing was closed, hundreds of migrants traveled six miles west to an area near San Diego, where some began scaling the border fence while chanting "Gracias Mexico" after Mexican officials did little to intervene during the caravan's journey. Mexican officials said they offered the migrants the opportunity to remain in Mexico. The rest, according to CNN, remained on the Mexican side of the border, where they waited to apply for asylum outside an immigration processing center. "We reached capacity at the San Ysidro port of entry over the weekend, and were temporarily unable to bring additional persons traveling without appropriate entry documentation into the port of entry for processing. We began processing undocumented arrivals again on Monday," CBP said in a statement Monday. Last week, several hundred migrants arrived in Tijuana, where they gathered at a shelter organized by the nonprofit US-based group "Pueblo Sin Fronteras", the organization that helped assemble and guide the caravan. Most of the remaining migrants are sheltering in tents provided by "Pueblo Sin Fronteras" as they await their turn to apply for asylum. Gabriela Hernandez, a pregnant mother of two who was one of the lucky ones let across the border with her children, said if her claim for asylum is denied, she has no idea what she will do. She says she and her children left Honduras after being threatened by gang members. Meanwhile, US officials continued to attack the caravan. Vice President Mike Pence called the caravan "a deliberate attempt to undermine the laws of this country and the sovereignty of the United States." The migrants meanwhile claim they are not illegally entering the US, but are instead stopping at border crossings and applying for asylum - an action that is legal under US law. Trump has criticized the policy of "catch and release" - that is letting migrants leave detention before their cases are decided. In general, migrants seeking asylum are more likely to lose their cases than win. Roughly three-quarters of immigrants seeking asylum from El Salvador, Honduras and Guatemala between 2011 and 2016 lost their cases, according to immigration court statistics published by Syracuse University's Transactional Records Access Clearinghouse.